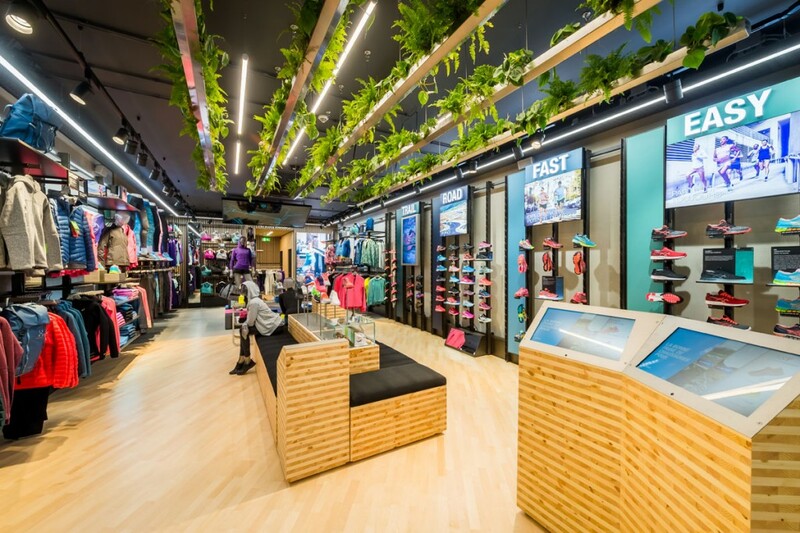 into were appointed to work with ASICS and interior designers Brinkworth to develop a lighting blueprint for ASICS next-generation retail concept. 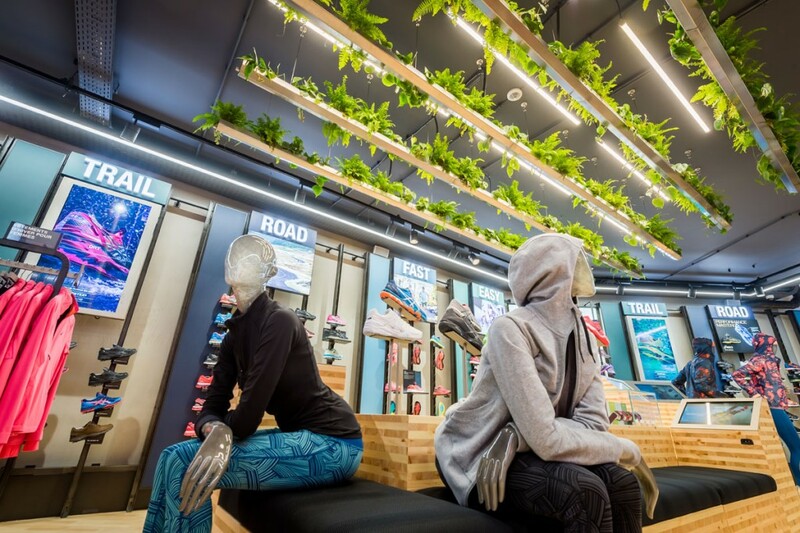 The new concept Brussels store offers the brand’s latest sports performance collections together with running services, a digital consumer journey linked to the ASICS RunKeeper app and a community fitness space. 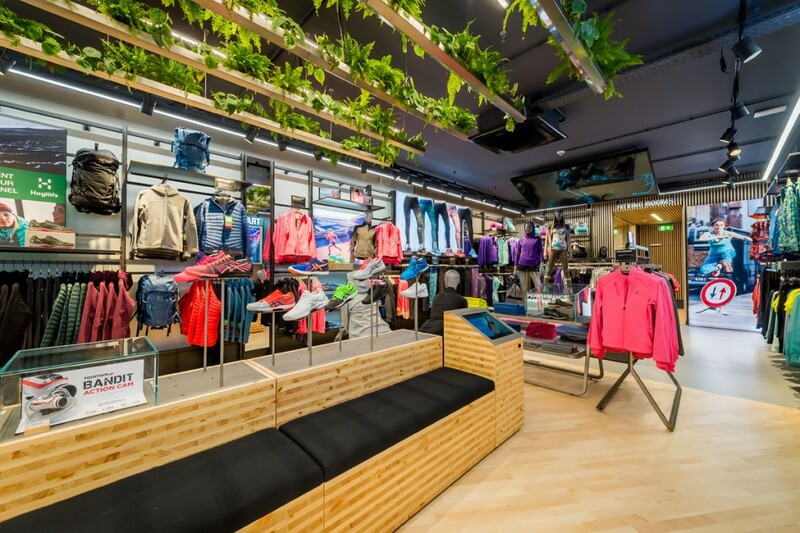 Following the store’s worldwide premiere in Belgium, the new retail concept is rolling-out in ASICS stores and across a selection of point of sale areas globally. 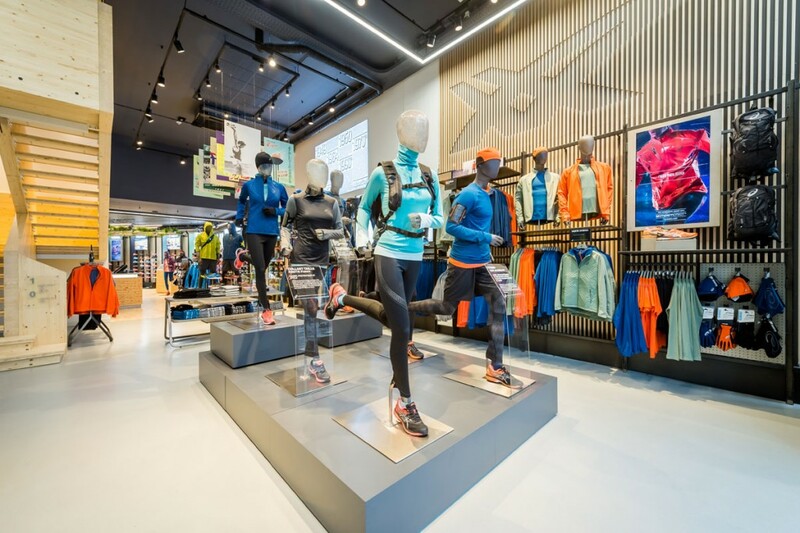 The lighting concept is focused around excellent colour rending of apparel and footwear, with a warm overall ambience and pockets of theatre. The lighting concept accommodates the different coloured ceiling finishes, materials, and ceiling heights whilst avoiding clashes and glare risks with AV displays. 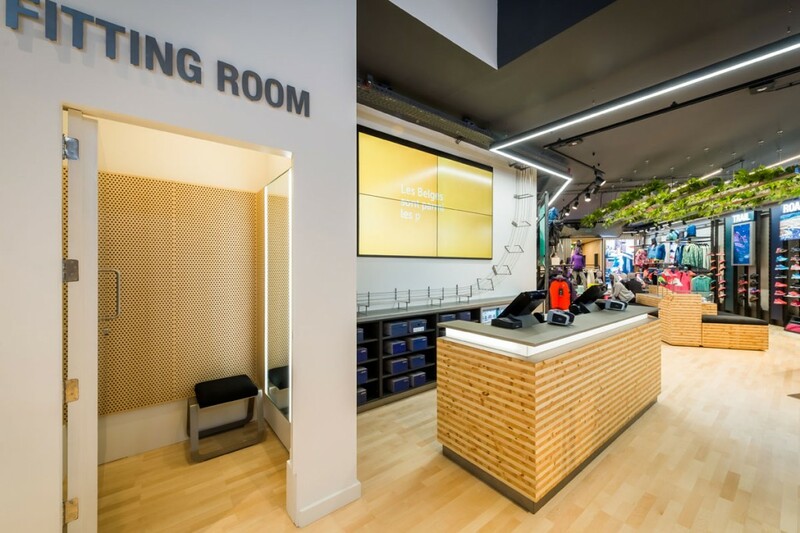 Accent lighting is provided by low glare LED track spotlights using a warm colour temperature of 3000K to light the apparel A 4000K lighting treatment to trainer walls renders them in a more daylight ambience. 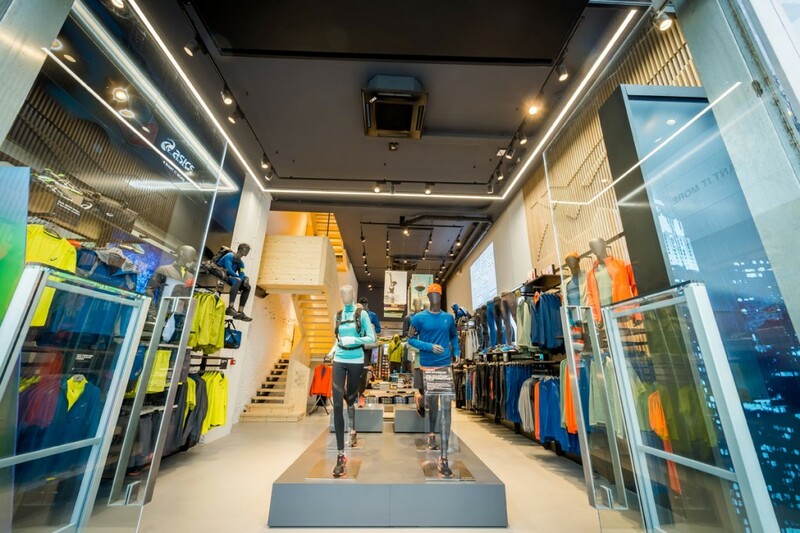 Functional feature/ambient lighting is in the form of a bespoke suspended linear LED system, this frames the stores’ perimeter details and washes perimeter displays with light. 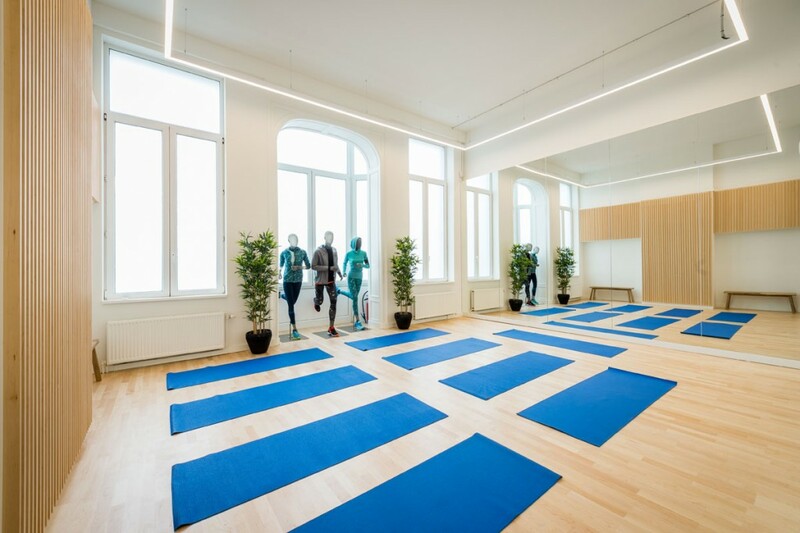 Dimmable linear LED has been used in the community space and motion ID room, to achieve the range of lux levels and uniformity for ASICS technology to work.